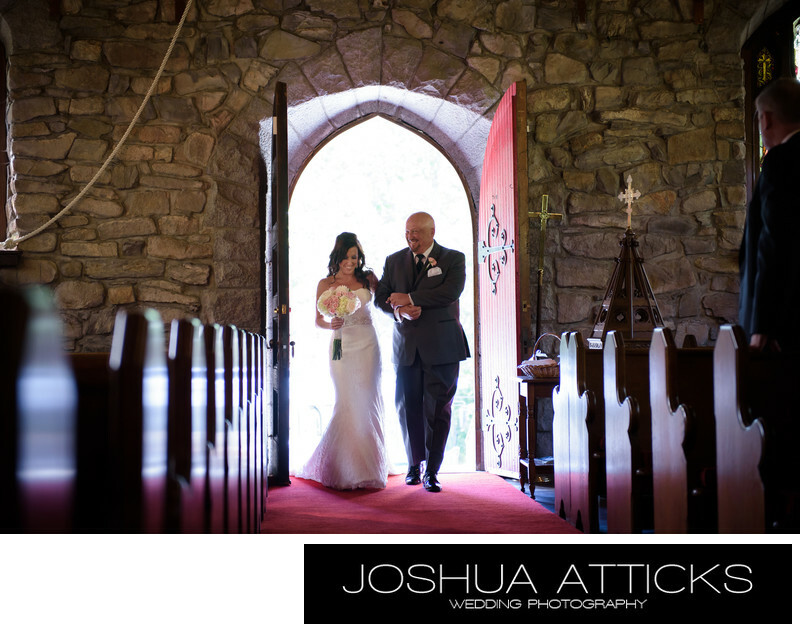 A bride walks with her father down the Isle at St. Peters by the Sea. This lovely church in Cape Neddick Maine is simply gorgeous with it's stone structure and hillside location. It is open seasonally and fills up fast. A note to wedding photographers: no flash photography or movement up and down the isle allowed here. Location: St. Peters by the Sea, Cape Neddick, ME.